Napco announces the 25 diamond necklace winners for 'Fam 25 Years' national contest. The contest, which celebrated Fam's 25th anniversary, ran from 15 October 2009 through 15 December 2009. Fam is a leading feminine napkin brand in the Arabian Gulf. Fam will congratulate winners from 20 February - 11 March 2010 in a TV commercial broadcasted on MBC 1 and MBC 4. Women can still participate through 15 April 2010 in the 'Scratch and Win' contest to win 35% discount and 250 SR from Damas Jewellery. 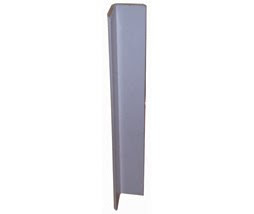 Napco is a leading consumer disposables manufacturer in Saudi Arabia. Dry food manufacturers seek packaging that preserves their product crispness and extends their product shelf life. MASTERPAK, producer of PE film in Zouk, Lebanon is re-introducing cereal liners for manufacturers of cereals and dry dessert mixes. Manufacturers can use these plastic bags to pack cereals, such as cake, cookie, dry wheat, pancake and biscuit mixes, pudding mix and dry condiments. MASTERPAK's inner liners are 3 layer HDPE co-extruded transparent blown films with a peelable sealant layer. The layer allows for easy opening with low heat seal initiation temperature combined to excellent tack properties. The inner liners can be efficiently used on high-speed Form-Fill-Seal (FFS) and side-seal machines to meet manufacturers’ specific requirements. This cereal packaging features stiffness for easy cutting on converters blades, as well as puncture resistance and strength to withstand the distribution chain. The plastic bags protect from moisture reabsorption and keep cereals crispy. With a strong air-tight seal, inner liners keep food odor inside the bag and, thus, free from critters. These bags are used for low barrier applications. These cereal bags are made from 100% virgin materials without any regenerated materials or antioxidants BHT in the blend. They are produced from materials that meet the Foods and Drugs Administration (FDA) requirements for direct food contact under registered code federal regulations. MASTERPAK is a member of INDEVCO Flexible Packaging, a division of INDEVCO Group, the "Local Multinational of the Middle East". Sanita of Halat, Lebanon announces final winners of the Private brand contest 'Win a Super Feminine Laptop'. The last draw took place on 10 February 2010. The contest ran from 1 December 2009 and gave away 200 Dell mini laptops. Sanita congratulates 'Win a Super Feminine Laptop' contest final winners and thanks all participants. Growers can benefit from MASTERPAK's usage techniques to install and protect their greenhouse film. Prepare the structure by removing any sharp object that could damage the film during installation or use. The metal greenhouse frame should be galvanized class “C”, exempt from corrosion. Wooden greenhouse frame must be planed and sandpapered. Paint metal greenhouse frames in touch with the film with white water-based paint. Be certain that all painted surfaces are thoroughly dry before installing the coverings. In case clips are used, they must be rust-proof and painted. Avoid overheating and rust damage, use white plastified or plastic wires. In both cases, the plastic used should not be PVC based. Metallic structure should be designed according to “AFNOR NF EN 13031-1”. The plastic film should be laid during soft weather (15˚C to 25˚C), preferably mornings or afternoons. The film should be stretched enough to avoid any untimely movement against the structures. Avoid over stretching. The film should be dug in at 25 cm from the greenhouse frame. When cross cladding, film overlapping must be in the opposite way of the dominant wind direction. Install the film the right way up for the anti-fog film. Refer to the mark on the film. Avoid rust during all the film usage period. Avoid direct vaporization on the PE film of any organic solvent, herbicide, pesticide, fungicide or fumigant. 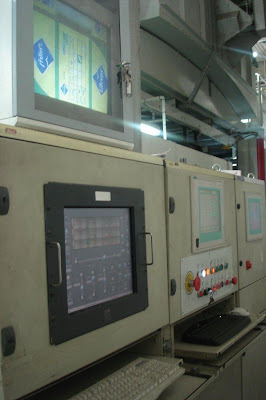 The tunnel must always be ventilated to prevent the film from overheating. The film should be regularly re-tightened in order to avoid fluttering and water bags. When stored, the film should be kept in its original packaging in a room at a moderate temperature away from direct sunlight, humidity and chemicals. In addition to greenhouse covers, MASTERPAK produces a wide range of agricultural and horticultural films, such as: ground cover film, hale bale plastic, hydroponic gully film, low tunnel film, mulch film, protective bags for banana cultivation, silage film, soil disinfection film and water membrane. Unipak Nile and sister companies, Unipak and Easternpak, participated from 3 - 5 February 2010 in Fruit Logistica 2010 in Berlin Exhibition Grounds. Unipak Nile, is a member of INDEVCO Paper Containers, a division of INDEVCO Group, the "Local Multinational of the Middle East". Unipak Nile completed a surveillance audit conducted by TUV Nord. Unipak Nile has successfully completed its first Hazard Analysis & Critical Control Point HACCP surveillance with zero non-conformities. 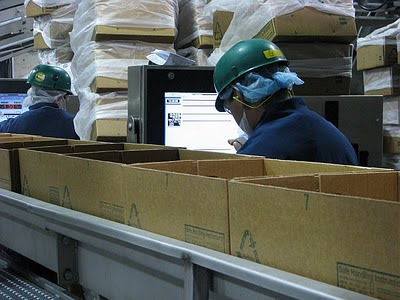 The corrugated packaging manufacturer has initially completed HACCP certification in February 2009 with full conformity. Unipak Nile located in 6th of October City is committed to supplying corrugated packaging that is 100% free from biological, chemical, or physical hazards. Interstate Container Cambridge, along with Global Green USA and Mountaire Farms, announced the complete conversion of the largest poultry plant in the US to recyclable, wax alternative boxes from its Maryland plant. 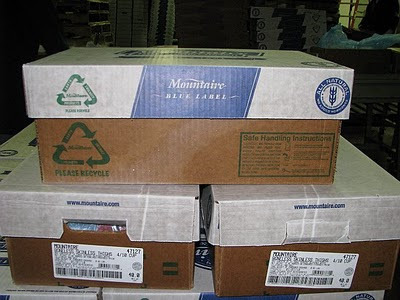 Jim Morgan, President & COO, Interstate Resources, Inc.
By converting to this newly achieved green packaging standard, Mountaire Farms will reduce carbon dioxide emissions, save water, and improve efficiency. The innovative recyclable boxes should impact future wholesale transfer packaging for not only poultry but also meat, produce and seafood. During the show, Interstate Container Cambridge also showcased wax alternative poultry packaging. Subscribers can receive INDEVCO's latest monthly news by the industry in which they are interested. As part of INDEVCO Group's 2010 online communications strategy, subscribers can now select the content they wish to receive. Until now, subscribers received e-mail alerts of each article published online. Unipak Nile and sister companies, Unipak and Easternpak, will exhibit their agricultural packaging products at Fruit Logistica 2010 from 3 - 5 February 2010 in Hall 2.1, Stand #C-07, in Berlin Exhibition Grounds. Fruit Logistica is the world's leading trade fair for the fresh produce industry. Since Unipak Nile introduced machine-erected corrugated trays, growers and packers of fresh fruit and vegetables have increased packing efficiency and minimized waste. 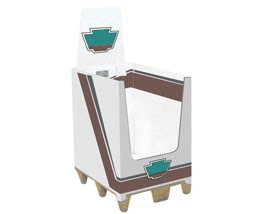 These packing trays, with improved strength and reliability, lead to reduced costs. 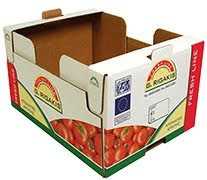 These corrugated trays are sharp-cut to fit automatic packing production lines and can be pre-printed or flexo printed. 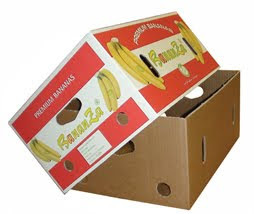 Growers and packers of fresh fruit and vegetables use these corrugated trays to pack citrus, grapes, pomegranates, strawberries, peaches, bananas, kiwis, melons, iceberg lettuce, cherries, tomatoes, herbs, as well as other fresh produce. 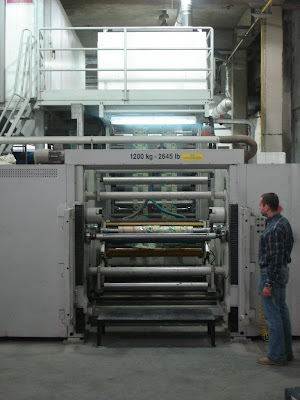 Furthermore, this machine-erected carton capability allows the corrugated packaging manufacturer to cater to small export orders. 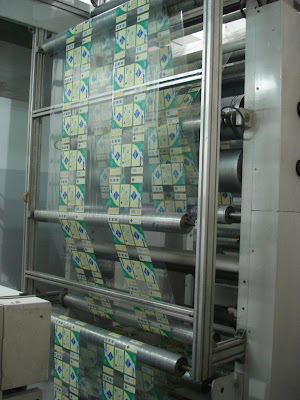 "We know now why Unipak Nile is expensive compared to other carton manufacturers in Egypt. The standard of support and information is superior to the other companies."